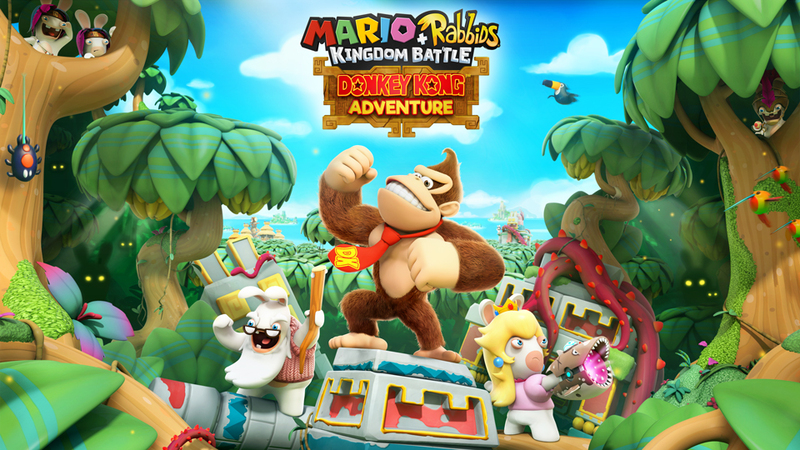 The Donkey Kong Adventure DLC for Mario + Rabbids Kingdom Battle is pretty massive. Ubisoft has said that it’ll contain around ten hours of gameplay, but that wasn’t always the plan. In an interview with Eurogamer, developer Davide Soliani revealed that the original plan was for the DLC to be “a small experience, two to three hours, one world.” That’s in contrast to how the content is now, with tons of gameplay, new music, and new elements for the combat system. “We reprioritised ourselves. It was going to be a small experience, two to three hours, one world. But in the end, it is almost half of the main game. In the main game you have 27 minutes of cinematics. DK has 20. In the main game you have four worlds, this is one but it is as big as two. It’s 10 hours of gameplay. We’ve put everything in – all our passion. Grant has added 45 minutes of new music. It was a nightmare to make him work for 45 minutes – he’s not used to work. He’s a little bit of a diva, a little bit of a slacker.